Real estate trends year-over-year get all sorts of contradictory analysis, which leaves new homebuyers wondering how they’ll ever make a safe, sound purchase. One thing is certain: The larger the down payment you can put down on your home-to-be, the better. Going up on a down payment enables you to shrink your mortgage rates, a big cause of the financial woes of current owners. Figures from Realtor.com show mortgage rates rising about 100 basis points through last year, and they are expected to continue to rise in 2014, according to The Huffington Post. Same goes with home prices in general. Nineteen percent of us are underwater on those payments, according to CNN Money. That’s down 7 percent from 12 months ago. By putting more down, you’re lowering your monthly mortgage payment. Lenders tend to drop interest rates when you put more down, since you’re bettering your ability to make your monthly payment. You can bet your new front porch this means people are putting more down now to offset scary mortgages later, fostering long-term financial security despite those looming loan hikes. Visit Bankrate.com for an interest-only mortgage calculator that will give you an amortization schedule for an interest-only mortgage. 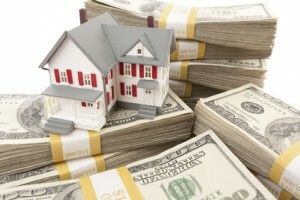 A solid down payment also behaves as its own insurance should a future financial crisis hit. By lowering your monthly payment, your mortgage won’t demand more than you can swing each month. If a crisis pops up and you need an emergency loan despite a doable payment, you may be able to borrow against the equity in your home, which may be available thanks to your sizable down payment. If a crisis or accident has yielded a settlement in your favor, putting the settlement toward your home protects you in much the same way, especially if the event threatens your interest or insurance rates. If you’ve been awarded a structured settlement, consider selling your future payments for a lump sum of cash now and applying the money to your down payment. Contact J.G. Wentworth for more information about selling your future payments. Homeowners with lower mortgages incur less risk when selling in a down market, which would be brutal if you end up looking to sell during its next dip. The simple fact is when houses cost less, high mortgages—which Realtor.com sees coming—can’t match what you get for your old place. If foreclosure is the end result, a myriad of tax consequences could await, especially if you file for a Cancellation of Debt. Visit IRS.gov to learn more about home foreclosure and debt cancellation. The last thing you want on your tax record is default. So spend now, while you have it, and secure the future of your new home.